Planning on buying in the off-season? Arm yourself with strategies from the pros. Rainy open houses and icy walkways make shopping for a home in winter less of a thrill than in the busy spring and summer months. But there are some distinct advantages (as well as some downsides) to shopping in the off season. 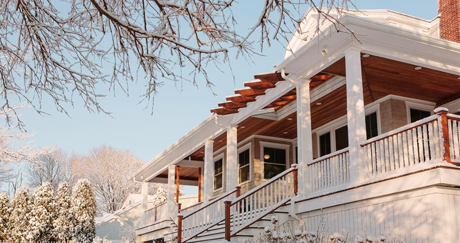 If you’re thinking of buying a home in the next few months, you’re probably wondering what to expect from this year’s winter real estate market. One thing is for sure: Taking your high-season strategies into a low-season game will not serve you well. Here’s what you need to know to adjust your thinking to this winter’s realities. 1. It’s slim pickings out there. There are fewer homes on the market in winter than at other times of the year. And in cities where winter means lots of snow and ice, the decrease is even more dramatic. In Denver, for instance, there are only about one-third as many homes for sale in winter as in spring or summer, says Denver real estate agent Jani Bielenberg of Bielenberg & Associates. And this year, the inventory crunch is even worse. Home inventory is now at a post-recession low, down 9.1 percent nationally in the third quarter compared to a year ago, according to Trulia’s research. And this winter isn’t shaping up to break the trend, so buyers in many markets should be prepared for slimmer pickings. If you’re committed to buying this winter, it may be time to widen your idea of what your dream home looks like or which block it’s on. 2. But starter home buyers have a bit more to choose from. For first-time buyers, though, the outlook in winter is sunnier. The inventory of less-expensive starter homes actually increases by about 7 percent in the last three months of the year compared to the spring, Trulia research shows. And the bump is widespread: 70 of the largest 100 metros see peak annual starter home inventory in the fourth quarter. That influx of homes for sale leads to listing prices that are about 4.8 percent lower in the first quarter of the year than in summer. All of this can make winter a great time to shop for a starter home. But even with the seasonal bump, choices will be limited this year, when inventories are unusually low across all home types and the number of starter homes for sale is about 20 percent lower than at the same time last year. 3. Open houses and bidding wars chill out for the season. The upside of shopping in winter is that many would-be buyers call it quits till spring. That means less competition, a welcome reprieve for those disheartened by packed open houses and seemingly unwinnable bidding wars. In Sacramento, for example, open houses this summer attracted 50 to 100 shoppers, and solid listings often received up to 10 offers, says agent Elizabeth Weintraub with Lyon Real Estate in Sacramento. In winter, that’ll drop to more like a dozen open-house shoppers and maybe two or three offers, maybe just one. There may even be time to visit a house more than once before making an offer, she says, which definitely wasn’t often the case this past summer. To hit the market at its absolute slowest, aim for the weeks right around Christmas, when buyers more or less evaporate. 4. Sellers are ready to make a deal. Many realtors advise their clients to wait until the spring and summer rush to sell. So homes that are on the market in winter often have motivated owners who cannot wait that long. These homes, especially those that failed to sell in the fall and are still on the market, may be ripe for a lowball offer. “There is opportunity,” says Denver agent Bielenberg. Especially if you’re up for some renovation. Realtors sometimes encourage homeowners who haven’t updated homes in a while to put them on the market in winter, when they face less competition from snazzier homes. So, if you can look past oak cabinets, white tile counters, and worn carpets, you may find a home with good bones, fewer bidders, and a tempting price. 5. FHA buyers have a better shot at a winning bid. With fewer shoppers in the market, prospects brighten for buyers with an FHA loan. These loans, backed by the Federal Housing Authority, have looser requirements than conventional loans, making them less appealing to home sellers who are getting all-cash offers or conventional loan buyers with big down payments. But with fewer winter bidders, home sellers often become more amenable to FHA buyers. 6. Home inspections may not tick every box. In winter, home inspections may be more notable for what they don’t include than what they do. The air conditioning cannot be tested in cold weather, and snow may cover the roof. Also, are those trees just dormant or are they actually dead? Be aware of the gaps in the inspection and pay close attention to the age and type of the roof and air conditioner. If you’re concerned about the trees, an arborist can assess their health in any season of the year. 7. Interest rates are still stable, but some predict they’ll rise. Interest rates shift more with economic conditions and policy decisions than with the seasons. And rates have been so stable, hovering around 4 percent all year, that “hardly anybody ever mentions them anymore,” says Lori Hicks, an agent with Hicks Elite Realty Professionals in Columbus, Ohio. But don’t get too complacent. The Federal Reserve recently hinted at future increases, and the Mortgage Bankers Association has predicted that the Fed will raise rates in December and three times in 2018, though they also predict that 30-year-mortgage rates will remain below 5 percent throughout the year. It’s wise to watch this closely. If rates rise while you’re house-hunting, it can make a real difference in what you can afford. Want a rent-controlled apartment? Here's how to do it legally. Inheriting a rent-controlled apartment is like achieving rental nirvana: a state of housing bliss where your rent is always below market rate. But rent-controlled apartments rarely become available to the public, so it’s not an easy dream to realize. However, with a little grit, determination, and luck, depending on where you live, you might just be able to make it happen. For those interested in giving it a shot, here’s where to start. “Rent control is a form of rent regulation that prevents landlords from raising the rent on a unit above a certain percentage each year,” says New York City attorney Jesse Gribben, whose law firm, Himmelstein, McConnell, Gribben, Donoghue & Joseph LLP represents tenants. Though rent control is the common term, some cities use the term stabilization, which differs slightly. Both are a form of rent regulation. One common rent control myth is that a tenant’s rent is permanently fixed after signing the lease. But in reality, the landlord is allowed to increase the rent each year by a limited amount, often determined by that city’s rent board. In San Francisco, for example, the San Francisco Rent Board determined a landlord could raise the monthly rent by 1.6% in 2017. So signing a new lease on a rent-controlled apartment doesn’t mean immediately scoring cheap rent. The benefits increase over time, assuming the market rate in the area continue to rise—which is exactly why it’s better to inherit rent control from a tenant who has held the lease for a significant amount of time, than it is to sign a new lease on a rent-controlled unit. To score a rent-controlled apartment, you would need to live in one of the cities where rent regulation exists—like New York City, Washington, D.C., and some cities in New Jersey, Maryland, and California—the supply is strictly limited. In New York City, for example, there are 27,000 rent-controlled apartments, while San Francisco has roughly 172,000 rent-controlled units. More so, the rules for inheriting one of these rare gems from someone who you know differs by city. “In New York City, they must be close, immediate family members like a spouse or child, or have a family-like relationship, like a domestic partner,” explains Gribben. But in San Francisco, a family relationship isn’t necessary, explains attorney Dave Crow, of Crow & Rose. “Anyone who has lived with a master tenant as a co-tenant for at least the two years immediately before the master tenant vacates the unit can take over a leasehold,” he says. Since it’s not within the landlord’s best interest, prepare for an uphill battle. How can you secure a succession? 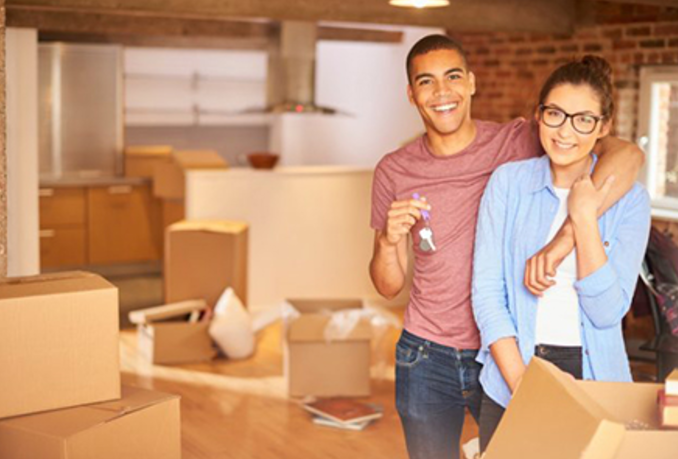 Inheriting a rent-controlled apartment means receiving it through legal succession from the master tenant after they vacate, often a friend or family member. If you have enough time and the willingness to become roommates with your friend, that’s the best route to legal succession. But it’s not the only requirement. The handoff requires strict legal steps. 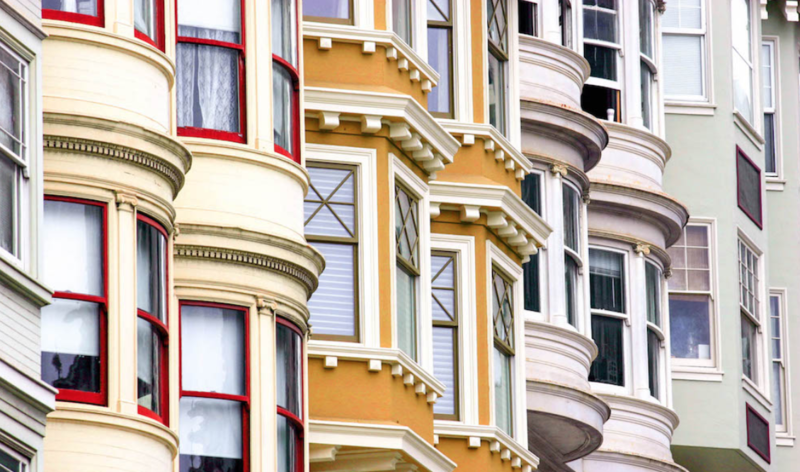 The steps vary by location, but in San Francisco, you have to follow the process detailed in the Costa-Hawkins Rental Housing Act. Here’s a brief overview of how it works in San Francisco, but to find out your city’s rules, check on the local rent board’s website. You must prove a minimum of two years of uninterrupted occupancy immediately prior to taking over as the master tenant. You must be more than just a roommate. It’s crucial that the landlord accepts you as a co-tenant, meaning you’re on the same legal level as the master tenant. You’ll pay rent to the landlord (not to your roommate) and work with them on repairs, maintenance, and other issues. Of course, it all must be in writing, too. When the original tenant vacates the unit, they’ll notify the landlord in writing to let them know. The landlord should then send a “6.14 Notice” informing you that you’re subject to a rent increase. If you believe you’re the rightful successor, you’ll have to file a petition with the San Francisco Rent Board to prove it. Closely follow the instructions for filing a tenant petition, and provide written documents showing the landlord recognized you as a co-tenant—like emails or letters about repairs—as well as your canceled rent checks. Because rent-controlled units are usually far below market rate, landlords would rather not let a new tenant inherit low rent. Not only do they often fight successor tenants during the transfer process, they also work to find loopholes, even in an otherwise legal succession. Yes, it’s complex. It’s difficult. It’s rare. Start with the question of whether or not it’s worth it. If often depends a lot on your resources—as well as just how much rent you’d be saving in the end. Your chances are best with the legal assistance of a tenant lawyer. If you follow the rules, understand the challenges, and go in ready for a fight, trying for legal succession of a rent-controlled apartment is totally possible. Put that phone down—these fixes are on you, not your landlord. Renting is the life … you’re not tied down, and there are no repairs to worry about, right? Well, sort of. While your landlord is expected to handle many fixes, there are others that are on you. Your lease will often define exactly when and how you should make any repairs. When in doubt, pull out the paperwork. 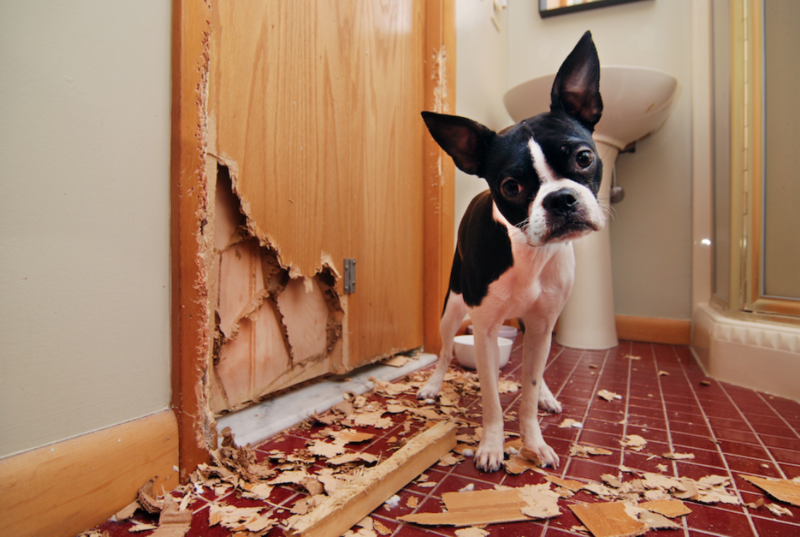 The general rule of thumb is that renters are responsible for repairing any damage that they cause themselves. So if you want to remain on peaceful terms with your landlord, don’t be that renter who calls for help changing a lightbulb. Your pet fee isn’t pet maintenance insurance. Your landlord is responsible for eliminating bugs like roaches and ants, but “not a problem you brought with you,” says Mindy Jensen, community manager and podcast coordinator at Bigger Pockets. Keep anti-flea products in your rental (and on your dog!) to take care of this problem. Your landlord expects to repair or replace floors every few years because of regular, everyday use. But if your definition of “everyday use” includes wearing cleats on the carpet and bowling in the kitchen, you should be prepared to fix the floors yourself. Don’t ask your landlord to clean stains from spills, your pets, bleach, or nail polish. It’s one thing to request a paint job after you’ve lived in a place for several years. But landlords don’t have to repair holes you made or repaint to eliminate the cigarette smell after your roommate with a pack-a-day habit moves out. And for major repairs, you should both pay for the work and fess up. Tell your landlord what happened and explain that you’ll rectify the situation with professionals. If you tend to close the dishwasher with your foot, sooner or later it’s going to break. And your landlord won’t be keen to replace it. “Don’t expect the landlord to repair appliances you’ve misused,” Jensen says. Misuse also includes things like using the wrong type of detergent in a front-loading washer and putting chicken bones or peach pits into the garbage disposal. It’s true that the law requires your landlord to maintain security by replacing broken locks or windows. But if you’re the one who breaks ’em, you’ll be the one paying for ’em. “The landlord is not responsible for your losing or forgetting your keys,” says Jensen. So next time you get locked out, take the time to call a locksmith or building maintenance, or leave a spare key with a trusted friend or neighbor. Some clogs are unavoidable or caused by defective plumbing. But when you’ve used your bathtub as a haircut staging area or have gotten overzealous with the toilet paper, that clog’s yours to solve. To avoid trouble, never use your toilet to toss out kitty’s litter, paper towels, or dental floss. And if you live with kids or invite them over, keep the lid down—you never know what they’ll throw in there. Learn how to use a plunger and liquid drain cleaner, and keep both handy. Otherwise, be prepared to pay a pricey plumber’s bill. A basic filter costs less than $10. Changing it out a few times a year is far cheaper and easier than insisting your landlord send over an HVAC pro to tune up or fix your system. If a pro comes over to fix a failed furnace or air conditioner and finds an ancient, clogged filter, they’re going to know right away what caused the problem. Avoid that disaster by doing routine removable filter maintenance yourself. Landlords are definitely responsible for repairing flood damage after a major rain storm or a random pipe failure. But don’t expect the landlord to fix the water damage when you’ve left the bathtub running, used the wrong soap in the dishwasher, or repeatedly flushed the clogged toilet till it overflowed. When it comes to flooding, the culprit is typically pretty clear: If it wasn’t Mother Nature, it was probably you. Summer is the sweetest season. But for homeowners, it can also be a busy time, full of improvements and repairs. Below is a list of preparations from Gold Medal Service that homeowners can do to prepare their homes for the summer. Change air filters – Check your air filters every 30 days. During summer, air filters should be replaced every 30 to 90 days, depending on the type of filter you use. Dirty air filters reduce airflow through the system causing it to work harder than it should, while using more energy, resulting in higher energy bills. Inspect window and door seals – Prevent hot air from leaking into your home through damaged window and door seals, or small cracks in the walls. Cheap materials like caulk and masking tape will go a long way to prevent hot air from entering your home and cool air from escaping your home. Good insulation will also help to keep your energy bills low. Consider shades or overhangs for your windows – This will help to naturally cool your indoor space by reducing the amount of solar heat you let into your home. Use your ceiling and/or attic fans – Moving air helps to remove heat from your home. Ceiling fans will help to reduce the thermostat temperature inside your home by about four degrees. Properly installed attic fans will also push the hot, trapped air out of your attic, reducing the workload on your HVAC unit. Clear away debris from the air conditioning system's condenser – You have a condenser installed somewhere outside your home. Leaves, branches or any garden debris can easily build up against the system, which could cause problems in the long run. Remove any foreign material heaped up against the unit. Clean the registers and ductwork inside the home – Make sure the registers inside your home aren't covered with carpets, furniture or anything else that will obstruct the air flow. Open each register and check for foreign objects like toys and pet hair that could be lodged in the HVAC ductwork. Use a flashlight to carefully check the surface of the ductwork for any signs of mold. Call a professional if you find signs of mold as it can cause respiratory distress and other health problems. Schedule an annual tune-up – This is critical so technicians can catch minor problems before it becomes a serious, costly affair. A faulty system can emit harmful gasses, most notably carbon monoxide. Regular maintenance will not only prevent system failures, but also keep your family safe. Mind your HVAC system's refrigerant – Homeowners with a cooling system that was manufactured before 2010, should be aware of the phasing out of R-22 refrigerant, an ozone-depleting gas used in older HVAC units. The Environmental Protection Agency banned the use of R-22 refrigerant, effective from 2020, due to the negative effect it has on the atmosphere. It will become increasingly difficult to find R-22 refrigerant needed for general maintenance of older HVAC systems, and prices will increase due to scarcity. Discuss your options with a professional if you have an older HVAC system. Does your home need a design refresh? Look no further than your books! 1. Add a studious touch to your nursery (and encourage early readers while you’re at it) by grouping classic books from your childhood - think Hardy Boys, Nancy Drew, Dr. Seuss and Beatrix Potter. 2. Get creative with glass and lucite-topped tables by grouping books both on top of and below the table. Not only does this tactic add visual interest, but serves as a great space-saver as well. 3. Add some fashion-sense in the right spots by gathering a few biographies on designers, beauty books or photo books on famous fashions on your night stand or in the powder room. 4. Have a sunny kitchen-table nook, covered porch or sun room? That’s the perfect spot for a collection of gardening books or art books showcasing botanical prints, Monet’s gardens, or Van Gogh’s sunflowers. 5. Add a touch of masculinity to an office or man cave with books on classic male themes, such as sports, history or automobiles. 6. 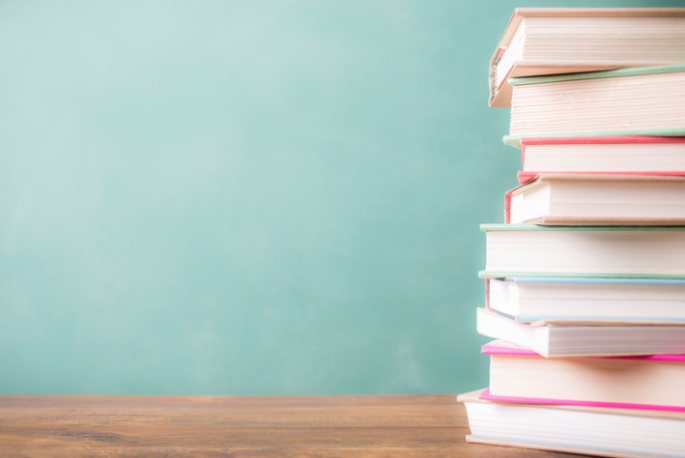 Make books part of the furniture by stacking them high next to your sofa or on top of a trunk or other prized possession. This allows them to not only become an attractive focal point, but a unique end table that you can top with a small lamp or frame. 7. Coffee table books are not just for looks - they can also serve as great conversation starters. Assemble books that are not only great to look at but that reflect your interests and passions, such as travel, music or history. Your investing style and tolerance for risk can help determine what type of stock mutual funds you invest in. The two main types of funds — growth and value — have different characteristics that can match your investing style. Growth businesses are likely to reinvest profits, instead of paying out dividends to shareholders, as a way to grow. Growth stocks can be seen as expensive and overvalued. Growth stocks tend to be newer companies with products that are expected to be in high demand in the future. Value funds are stocks that are undervalued by the market, meaning their prices don’t reflect their fundamental worth. They can trade at a lower price when compared to their fundamentals. Value stocks can be undervalued for various reasons. An earnings report can have some bad news or a company may fall on hard times. Growth funds are expected to have faster than average growth in revenues, earnings or cash flow. They often have above-market price-to-earnings and price-to-sales ratios as higher sales and earnings justify higher valuations. Value companies have lower-than-average sales and earnings growth rates, lower dividend yields, and lower price-to-earnings ratios. 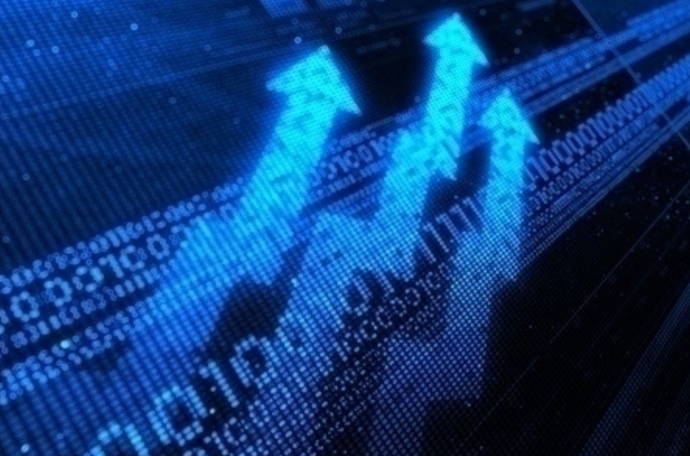 Growth funds are expected to offer higher returns than the overall market when stock prices are rising overall, while underperforming the market when stock prices drop. Value funds focus on perceived safety instead of growth, and often use their earnings to pay dividends. This allows value funds to provide more income than growth funds, though they can appreciate long-term if the market recognizes their true value. Growth funds generally have a higher risk than value funds, and thus require a higher tolerance for risk, and a longer time horizon, than value funds. The increase of growth funds may not always be realized. Value funds have the risk of possibly never realizing their intrinsic value. The market may have correctly priced such companies, preventing them from gaining in price. Whichever investing style you choose, be sure to carefully study the companies you want to invest in and understand the fundamentals behind them before putting your money into them. When it comes to ongoing home maintenance, there are times when homeownership can be expensive—but there is no substitute for the sense of pride and comfort you achieve from living in a space that is truly your own. That said, it’s true that from the day you move in to the day you sell your home, there will always be something that will need to be repaired or even remodeled as you—and your family—grows, shifts and changes. 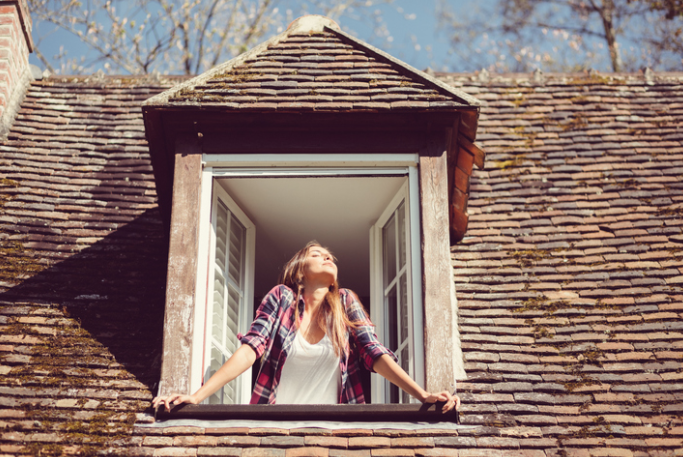 But to be a proactive homeowner, you will want to keep an eye out for the small issues that could cost big bucks down the line—like, a crack in the foundation or a drafty window. Below are a few top tips for forward-thinking. Get in the habit of taking an inventory at least once every year of every nook and cranny of your home to check for potential problems. Examine the roof, foundation, plumbing, electrical wiring—basically everything. Try to fix trouble spots as soon as you uncover them. This proactive approach will help you avoid larger expenses later on, so leave no stone unturned when taking inventory. Some say you should expect to spend one percent of the purchase price of your home every year to handle a myriad of tasks, including painting, tree trimming, repairing gutters, caulking windows and routine system repairs and maintenance. An older home will usually require more maintenance, although a lot will depend on how well it has been maintained over the years. Don’t assume that a problem will stay the same if left unattended. If your gutters are clogged, play it safe and unclog them to avoid leaks. Adopt the attitude that the cost of good home maintenance is usually minor compared to what it will cost to remedy a situation that you allowed to get out of hand. For example, unclogging and sealing gutters may cost a few hundred dollars. But repairing damage to a corner of your home where gutters have leaked can potentially cost several thousand dollars. For more real estate tips, contact me today! When You Celebrate Flag Day Tomorrow, Thank a Teacher! Never has a piece of decorated cloth inspired so much pride, patriotism, and even controversy, than our American Flag. Each year, the United States celebrates Flag Day on June 14. Here are some points of interest about this important day. The history of Flag Day dates back to 1885, when according to USFlag.org, it is believed school teacher BJ Cigrand arranged for the pupils in the Fredonia, Wisconsin Public School, District 6, to observe the 108th anniversary of the official adoption of The Stars and Stripes as ‘Flag Birthday’ on June 14 of that year. Flag Day – the anniversary of the Flag Resolution of 1777 – was officially established by the Proclamation of President Woodrow Wilson on May 30, 1916. 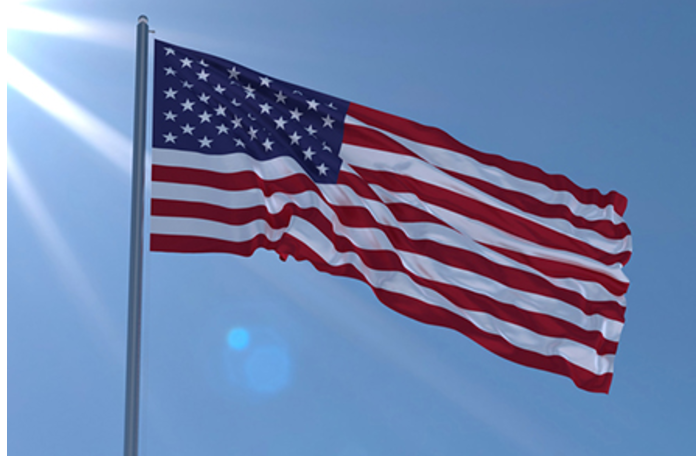 While Flag Day was celebrated in various communities for years after President Wilson’s proclamation, it was not until August 3, 1949, that President Truman signed an Act of Congress designating June 14th of each year as National Flag Day. Etiquette calls for American flags to be illuminated by sunlight or another light source while on display. When flags are taken down from their poles, care must be taken to keep them from touching the ground. When the flags of cities, states, localities or groups are flown on the same staff as the American flag, Old Glory should always be at the peak. Flying the flag upside-down is not always intended as an act of protest. According to the Flag Code, it can also be an official distress signal. Despite the preponderance of “patriotic” gear ranging from tee shirts to swimsuits to boxer shorts, the Flag Code stipulates that the Stars and Stripes should not appear on apparel, bedding or decorative items. In the 1950s, when it seemed certain that Alaska would be admitted to the Union, designers began retooling the American flag to add a 49th star to the existing 48. Meanwhile, a 17-year-old Ohioan student named Bob Heft borrowed his mother’s sewing machine, disassembled his family’s 48-star flag and stitched on 50 stars in a proportional pattern. He handed in his creation to his history teacher for a class project, explaining that he expected Hawaii would soon achieve statehood as well. Heft also sent the flag to his congressman, Walter Moeller, who presented it to President Eisenhower after both new states joined the Union. Eisenhower selected Heft’s design, and on July 4, 1960, the president and the high school student stood together as the 50-star flag was raised for the first time. Ever wonder how to correctly fold an American flag? First, enlist a partner and stand facing one another, each holding both corners of one of the rectangle’s shorter sides. Working together, lift the half of the flag that usually hangs on the bottom over the half that contains the blue field of stars. Next, fold the flag lengthwise a second time so that the stars are visible on the outside. Make a triangular fold at the striped end, bringing one corner up to meet the top edge. Continue to fold the flag in this manner until only a rectangle of star-studded blue can be seen. I hope you enjoyed these interesting facts about Flag Day. Have some you’d like to share? Contact me today! 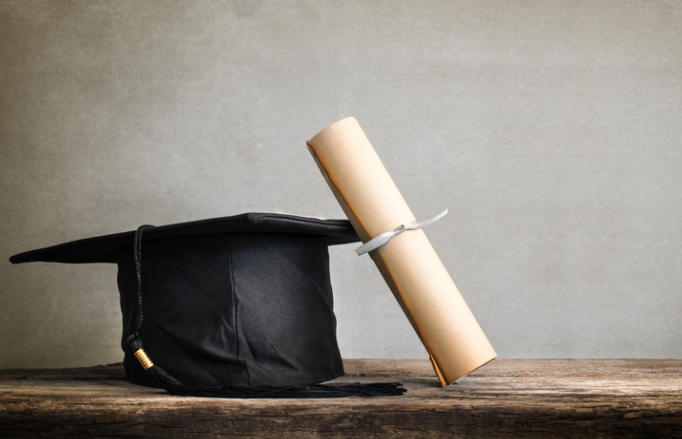 Newly minted college grads usually have one overarching goal: find a job. While most are understandably consumed with where to work and what kind of salary they may be able to score, some say that those first entering the workforce should also be thinking about how to become an exemplary leader. "When you're looking for that first job, keep in mind that 97 percent of employers believe that leadership development should begin by age 21," says Jim Kouzes, coauthor along with Barry Posner of the sixth edition of The Leadership Challenge: How to Make Extraordinary Things Happen in Organizations (www.leadershipchallenge.com). "If you haven't started your leadership development by now, you should. You probably won't be in an 'official' leadership position immediately, but from your very first day, you can set the example for others, inspire others, challenge yourself to improve, collaborate with others, and encourage others to do their best." Kouzes and Posner emphasize that leadership is not about a title and delegating to others - it’s about relationships, credibility, passion and conviction, and ultimately about what you do. "Everyone has the capacity to be a leader," says Posner. "It's not some mystical inborn quality. It's an observable pattern of practices and behaviors, and a definable set of skills and abilities. As one young leader told us, 'You never know where one step will take you. And you never know where the next one will lead. The difference in being a leader is that you take that step.'" Model the Way. Exemplary leaders know that if they want to gain commitment and achieve the highest standards, they must be models of the behavior they expect of others. Eloquent speeches about common values, however, aren't nearly enough. Leaders' deeds are far more important than their words, so words and deeds must be consistent. Inspire a Shared Vision. People talk about their personal-best leadership experiences as times when they imagined an exciting, highly attractive future for their organization. To enlist in a shared vision, people must believe that leaders understand their needs and have their interests at heart. Leaders forge a unity of purpose by showing constituents how the dream is for the common good. Challenge the Process. Every single personal-best leadership case involved a change from the status quo. Not one person claimed to have achieved a personal best by keeping things the same. Leaders venture out. They also know that innovation and change involve experimenting and taking risks. One way of dealing with the potential risks and failures of experimentation is to approach change through incremental steps and small wins. Try, fail, learn. That's the leader's mantra. Enable Others to Act. Achieving greatness requires a team effort. Leaders foster collaboration and build trust. The more people trust their leaders, and each other, the more they take risks, make changes, and keep moving ahead. When leaders enable people to feel strong and capable, they'll give it their all and exceed their own expectations. Encourage the Heart. The climb to the top is arduous and steep. People become exhausted, frustrated, and disenchanted. They're often tempted to give up. Genuine acts of caring uplift the spirits and draw people forward. Recognizing contributions can be one-to-one or with many people. It can come from dramatic gestures or simple actions. It's part of the leader's job to show appreciation for people's contributions and to create a culture of celebrating values and victories. "There are many opportunities to make these five practices part of your life, while you're working at a temporary job, before you get a position in your desired field or even before you have a paying job at all," says Kouzes. "You can inspire others right now. You can encourage others. You can shake up the status quo and take some risks. These are the hallmarks of exemplary leaders." 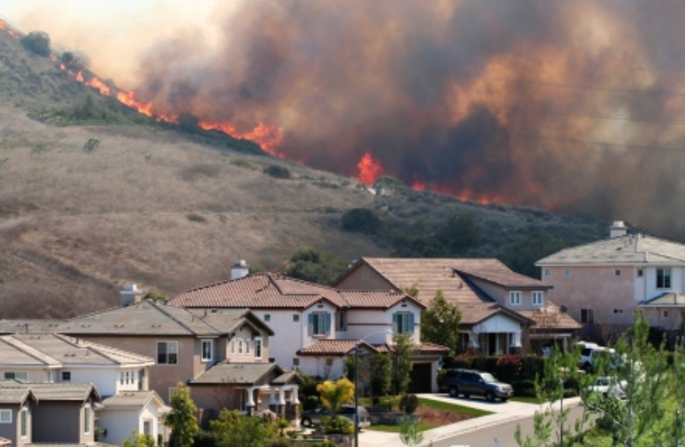 Does Your HOA Have a Wildfire Risk Mitigation Plan? Wildfires can ignite anywhere, even beyond areas with drier climates. As a homeowner, understanding your risk is important. Wildfire has become a topic of concern in homeowner community associations, a trend recently explored in the article “Where There’s Smoke” by the Community Associations Institute (CAI). In the article, CAI cites a record statistic: over 10 million acres were impacted by wildfire last year—more land than Connecticut, Delaware, New Jersey and Rhode Island combined. What’s more, the article states over 3,000 homes in the wildland-urban interface—zones adjacent to unoccupied land and therefore at risk for wildfire—have been destroyed each year since 2000. Several factors are fanning the flames, including climate change and development. Association policies, such as requiring water hoses or prohibiting charcoal grills, may also be imposed to reduce risk. Obtaining sufficient insurance coverage—in addition to adhering to association policies—is crucial. The CAI article recommends you keep a digital inventory of your belongings in order to expedite the claims process should wildfire damage or destruction occur. Seek out your association representative to learn more about your community’s wildfire risk mitigation plan. Discuss evacuation procedures and any other measures that may be enacted in the event of a wildfire. For more information on wildfires, read the CAI article in full: http://mydigimag.rrd.com/article/In_the_Line_of_Fire/2507995/310123/article.html. Expert Insights: Is it Possible to Get a Low-Down Payment Loan?